Don’t look now but Mitt Romney just took the lead over Barack Obama in the WAPO-ABC presidential tracking poll 49% to 48%. More importantly, when individuals were asked about the economy, the most important issue of the day, 50% of likely voters say they trust Mitt Romney with the economy, while 45% sided with the president. The new Washington Post-ABC News national tracking poll has 49 percent of likely voters supporting Republican Mitt Romney, and 48 percent President Obama, a seesawing result that shows the continued narrowness of the contest. The change from yesterday’s Post-ABC tracking poll, which showed the race 49 to 48 percent the other way, is statistically insignificant, and the numbers do not include any public reaction to the third and final presidential debate Monday night. Almost all of Monday’s interviews were conducted before the debate started. 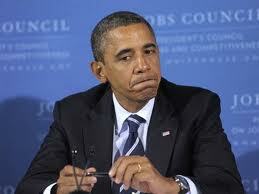 Does Obama read the polling data? He most certainly does. As reported at the WAPO, Barack Obama sent an email to supports,“I don’t want to lose this election.” Get used to the notion Barack, come November 6, We the People will be adding you to the unemployment list. effect during the November-January transition.